My mojo has gone for a walk. And it is still somewhere out there. Seriously! 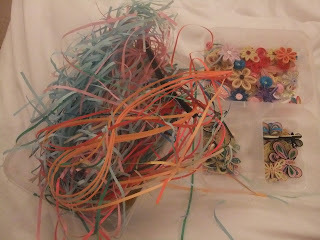 I haven't touched stamps or quilling tool for the past four months and I don't even feel guilty! After that , a complete full stop. I have so many quilled things already made, just waiting to be glued on a card, but I don't feel like doing anything with them. Oh that is so sad.Waiting to see your beautiful creations..try something 3d or home decor instead of cards or something new instead of what you used to do and maybe it will excite you enough to get the creative spirit back on! sorry to hear you lost your mojo, hopefully you'll get back into it, maybe you just need a break,dont give up!!!! !